Type Rating Training: How Does A Flight Simulator Help? 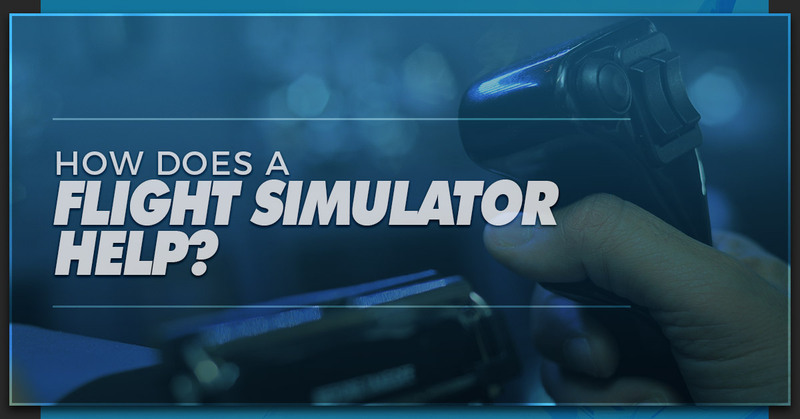 How Does A Flight Simulator Help? When it comes to learning how to fly, there’s really no replacement for the real thing. The valuable experience you learn from flying an aircraft, both with an assistant and on your own, is invaluable when you are going through a type rating training or other pilot training program. While flying an actual plane simply cannot be duplicated, don’t underestimate the power of flight simulators to come amazingly close. When it comes to flight training, utilizing a state-of-the-art simulator can actually get you up and off the ground — literally — quicker than other methods. Using flight simulators during your type rating training will help you to understand the systems of each individual aircraft, whether it’s a Boeing 747 or an Airbus A320. Sure, it’s not quite the same as flying a real plane — but for the sake of safety, it’s the next best thing. In this blog, we’ll be diving in to a few ways in which flight simulators can help during your flight training experience. At Alliance Aviation Training, our modern Miami flight school facilities have access to the best flight simulators in the world. Thanks to our close proximity to Airbus and Boeing facilities, along with our partnership with Avenger Flight Group, we can offer unparalleled flight simulation training that you won’t find anywhere else. Ready to take flight on a new career? Keep reading to learn more about how flight simulators help with the process and enroll at Alliance Pilot Academy today. Flight simulators are invaluable tools which help to digitally recreate the process of flying a plane from take-off all the way through landing. The best flight simulators can truly do it all — from mimicking the controls and systems of whichever aircraft they are simulating, to tapping into the exact equations and ways in which a certain aircraft flies. Many flight simulators can also account for outside forces like wind, clouds, darkness, bad weather, and air density to make for a more realistic experience. Pilots who are working toward a type rating have to log a certain amount of hours in the flight simulator, per the FAA, before they can be officially certified. That’s why it’s so important to find a pilot academy with access to the best flight simulators in the business. Alliance Pilot Academy works in conjunction with Avenger Flight Group to provide a modern approach to flight simulation. Learn how to enhance your abilities with our type rating training programs today. Now, let’s take a look at which aspects of your flight training can be improved with the help of a top-notch flight simulator. This one is fairly obvious, but flight simulators can truly help student pilots learn how to fly. When it comes to the operation of a particular aircraft in a wide range of conditions, a flight simulator can account for many variables to make for a more realistic approach. Not to mention, you have the ability to work on particular aspects of flying an aircraft — whether it’s the approach, the take-off, the landing, or even just firing up the engines — a flight simulator can help you prepare and perfect each and every step without the high risks. While it might be preferable, the simple fact of the matter is you are not going to fly in ideal conditions each and every time you take flight. Flight simulators help you learn how to manage a vast range of weather patterns — from flying through a thunderstorm to navigating through high winds and turbulence. With a simulation, you get the realistic experience of flying through weather without having to manipulate the skies themselves. You can create clouds, fog, crosswinds, and even reduced visibility and darkness in order to better understand what skills and techniques to use when you come across these challenges in real time. Manning the controls of a commercial aircraft requires a whole lot more than just being able to steer, take off, and land. You also have to monitor data and make adjustments accordingly in order to make sure that everything runs smoothly. From the aircraft’s altitude, to reading a map and radar, to maintaining speed and trajectory, a flight simulator allows pilots to gain a more comprehensive understanding of everything that needs to be monitored throughout the course of a flight. Earn A Type Rating In The U.S.
Do you want to see for yourself how a flight simulator can be a huge asset during your type rating training? Enroll at Alliance Aviation in Miami to get started today.